If the state provides less, who will provide more? This is an important question because the answer has implications for everyone. Initially, my concern was for the voluntary sector and civil society. How can our voluntary sector meet more demand as the state retreats? Government support for charities is falling and some local authorities are losing 50% of their funding. According to the Charities Aid Foundation, charitable giving has not grown in real terms for decades despite a colossal increase in personal wealth. Community Foundations ARE bucking the trend by increasing their endowments. This, together with Big Lottery support for communities, is vital as nearly half of all small local charities say they may not exist within 5 years. No doubt Dawn Austwick will comment on this. BREXIT, the election of Trump, terrorism, record numbers of refugees, political extremism and the Grenfell Tower fire are forcing us to think beyond the needs of civil society and to the prospects for our democracy. There IS a growing wealth gap between rich and poor, between generations and between regions. This undermines communities and social cohesion. Unaffordable housing threatens to become a catastrophe for the young. There is rising incidence of mental illness, particularly amongst the young. These are symptoms of political failure. If we are serious about finding solutions, we should look to the beyond profit sector which has been a source of progressive change for centuries. Today, the contribution made by philanthropy and social enterprise benefits everyone. The ability of the NHS to look after us rests upon a bedrock of academic medicine and research that is almost entirely funded by charitable giving, note the Wolfson Foundation £20m grant for research into Alzheimers. Pioneering research into the growing mental health problems of young people is being led by a new charity MQ, entirely funded by charitable giving. The role of philanthropy in tertiary education is increasingly important, particularly for research and for those pursuing a vocational career. How else are we to create the intellectual capital needed to invest in our knowledge economy so that we can compete internationally with countries who invest far more than we do? Our creative industries are one of the fastest growing parts of the economy yet our cultural achievements would be impossible without philanthropy and sponsorship. Charity and philanthropy are addressing a particular aspect of inequality by empowering those from minorities, as Rushanara Ali will testify. Charities are leading the way, as Chris Wright will remind us, in the reform of public services and their delivery by working in partnership with communities and the public and private sectors. Philanthropy gave birth to social housing and we need more of both now. Philanthropists have invested in academies because they understand the importance of education and the need to invest in it. We need new 21st century Peabodys to recreate the same sense of mission and legacy in terms of housing. There are other ways to solve the housing crisis and to regenerate communities: by social enterprise and community ownership. Look at east London. A community owned company was created in Poplar in the 1980’s that now has 9000 properties and runs a £1.7 billion regeneration programme by bringing housing, health and education all together. Profits are returned to and reinvested in the community. Following cuts to youth services, a philanthropic initiative in the north of England has led to a charitable enterprise in which local authorities are in partnership with local and national donors and volunteers. Onside Youth Zones combat unemployment and deprivation, and empower 30,000 youngsters in some of our poorest towns. Philanthropy is convening public and private resources at a local level to meet local need and to unite communities. Moreover, local authority money is committed without the ticking of boxes. This is real partnership between the sectors. The change we need is most likely to come from the bottom up rather than top down. Philanthropy and social enterprise are not only for the rich and have the power to connect people to society and to their communities. Neither the state nor any of the other sectors are able, on their own, to create the social, cultural and intellectual capital needed to sustain our society and economy. Governments of both main parties have unrealistic expectations about the role of philanthropists and charities. Politicians (present company excepted) need to understand that the state’s commitment to the common good is a prerequisite for philanthropists who WILL support the public sector but only within a genuine partnership. Politicians also need to understand the limitations of the state and that the social investment we need is more likely to be generated by collaboration between all the sectors. Of course philanthropy cannot solve everything but in partnership with the state and others, philanthropy can be a catalyst to generate positive social change. We need more of it. Our world is changing. Economically, politically and socially, this is a defining moment for Britain. We must adapt. If the state does less, we need an initiative that encourages more citizens to participate and do more, to empower communities and to heal division and disengagement. Can we recreate a concept of the Common Good that inspires more of us and thereby ensures that future generations inherit a thriving, healthy society and liberal democracy? 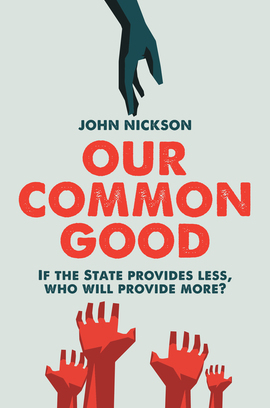 Our Common Good here for £20! John le Carré’s new book A Legacy of Spies, published this week, reintroduces his most celebrated character, and indeed one of the most iconic characters in the history of espionage fiction, George Smiley. Le Carré revealed shortly before the Iraq War that the model for Smiley was the author and MI5 officer John Bingham, the 7th Baron Clanmorris. 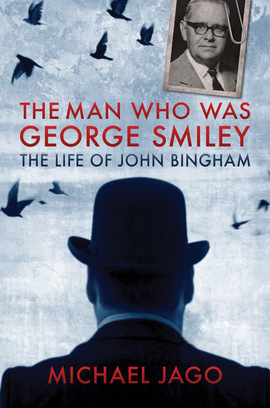 The Man Who Was George Smiley, Michael Jago’s brilliant account of Bingham’s life is not just the story of a perfect spy, it is also of a writer whose thrillers transcended the genre, exploring the emotions behind the darkest human behaviour. As an intelligence officer the bespectacled Bingham had a deep influence on Le Carré, then a junior colleague in MI5. Like Smiley, Bingham was an expert interrogator. His understanding of the human psyche, demonstrated so brilliantly in his seventeen novels, persuaded his subjects to give up the intelligence they were holding deep inside. When JP Floru tags along with three friends running the marathon in Pyongyang, little could have prepared him for what he witnessed. Shown by two minders what the regime wants them to see during their nine-day trip, the group is astounded when witnessing people bowing to their leaders' statues; being told not to take photos of the leaders' feet; and hearing the hushed reverence with which people recite the history invented by the regime to keep itself in power. 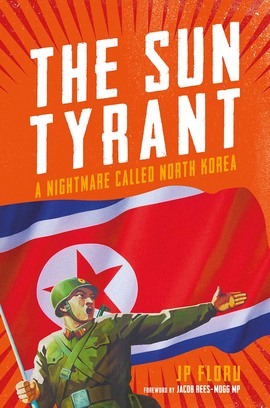 Shocking and scary, The Sun Tyrant uncovers the oddities and tragedies at the heart of the world's most secretive regime, and shows what happens when a population is reduced to near-slavery in the twenty-first century. Iain Dale, MD of Biteback Publishing, has acquired world rights to Winning Here by former Chief Executive and Director of Campaigns & Elections for the Liberal Democrats, Lord Rennard. Chris Rennard’s long relationship with the Liberals, and later the Liberal Democrats, began when a compassionate Liberal candidate helped his disabled mother receive her widowed mother allowance. By his twenties, Rennard was the most successful election campaigner his party has ever known. He helped the Liberal Party win power in Liverpool in the 1970s and campaigned for Shirley Williams and Roy Jenkins in famous by-elections which helped the Liberal SDP Alliance to compete for power before its acrimonious collapse in the late ‘80s. He was then responsible for a series of spectacular by-election victories that rescued his party’s fortunes and he oversaw a huge increase in the party’s number of MPs and elected representatives. Liberal leaders Paddy Ashdown, Charles Kennedy, Menzies Campbell and Nick Clegg would all rely on him as the party grew to the peak of its success. 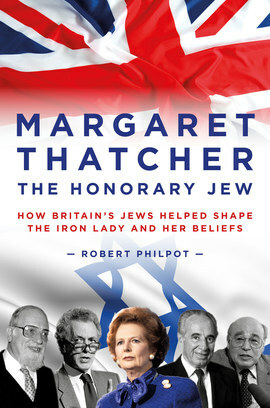 This volume of memoirs spans his first thirty years in politics (to 2006) and includes the highs and lows of his party during the leaderships of Paddy Ashdown (including his hopes for coalition with Tony Blair) and Charles Kennedy (including the latter’s enforced resignation after publicly revealing his problem with alcohol). Winning Here will be published in January 2018 and supported by a major publicity campaign.